Earlier this week I got involved in a discussion on Facebook. The discussion was started by an honest question asked by an innovative church planter serving a very traditional part of the nation. The question was whether he should hold his worship service on Sunday morning, or some other day of the week. While I want to be very careful not to be judgmental of those who participated in the online discussion, it was obvious which ones were “traditional” in their thinking and which ones were “evangelistic” in their thinking. Though I would like to think that a person can be both, in that particular discussion, there were no such examples. It is not the point of this article to promote the best time for a new church to hold a worship service. The point of this post is to address how self-centered many of the responses in that particular conversation were and how common that is in the Christian community. I have a growing concern, both about my own spiritual walk with the Lord, and regarding the walk of other Christian leaders I observe, who seem to think that our personal preferences are the same as God’s preferences. Let me give some examples from that specific discussion. One person said they attended a church for a while that had a Saturday night service, but for a variety of reasons, it was just not convenient for them, therefore, it was better to have church on Sunday morning. The reasons they listed for why a Saturday night service was not convenient were exactly the same reasons people who do not attend church on Sunday morning often give. So the argument had nothing to do with spirituality, but became a discussion about what was convenient. The person wrongly concluded that what was convenient for her was the also the best way for everyone else. Another person felt empowered to speak for non-believers, saying that they preferred a particular thing. 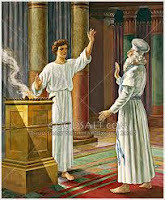 However, in supporting the supposed views of non-believers, he only offered his own preference as a committed believer. I had a bit of trouble following his logic, but it almost seemed like he was saying, “If non-believers want to come, they need to get with the program and not expect us to make it easy for them.” That is extremely close to the attitude of the Pharisees in the New Testament, and Jesus did not speak highly of it. Perhaps my favorite response was the older lady who tried to appeal to the Bible to prove her personal preference. She listed several verses that said the apostles worshipped on Sunday, and therefore we should too. I know I probably should not have taken the bait, but I just could not resist chiming into the conversation to remind her that the Bible says that the early Christians worshipped EVERY DAY of the week and that Paul directly addressed the issue of how some people held up one day as special, while others looked to a different day as being special, and that the important thing was to hold every day as holy unto the Lord. She never responded. Apparently only the verses in the Bible that support her position are important and we can conveniently forget the rest. Though my readers may think I am promoting worship on alternative days of the week, remember, that is not the point I want to make. The point I want to make is how easy it is those of us who have grown up in a traditional Christian environment to substitute their own preferences for God’s. It is also easy for us to make selective use of a scripture or two in the effort to prove our viewpoint is right without looking at the whole canon of scripture. I believe this is why so many older established churches are stymied in their growth. Without realizing it, they have fallen into a rut of self-absorption and called it spirituality. Though they claim the Bible is the basis for why they do what they do, in actuality, their actions have a lot more to do with their personal preferences. If we expect to reach America for Christ, we are going to have to give up our personal preferences and stop assuming that our opinion is God’s opinion. While our preferences may indeed work for us, they may not work for others. Though we must hold firmly to scripture, we must read those scriptures in context and apply them the way the Spirit wanted them applied, and not through the lens of our own private interpretation. If lost people think that Sunday morning at 11 AM is the time to meet God, then hold church at that time. But since increasing numbers of lost people are not showing up at that time, perhaps we should consider a different time. It may be inconvenient for those of us who have built that into our weekly schedule, but whoever said serving Jesus was supposed to be convenient? Though this particular conversation may revolve around the best time to hold a worship service, it applies to anything a church does. When is the “best” time to hold small group Bible studies? What is the “best” way to support missions? What is the role of deacons (or elders)? How should the church budget be allocated? What kind of building should the church meet in? What kind of music should we use in our church? What version of the Bible should we preach from? The lists of questions go on and on. The answers are not always easy to discover. But if we are to see America reached with the Gospel, our answers must not be based on our personal preferences with a thinly veiled facade of spirituality over it. These questions must be answered by a complete study of God’s Word, with a commitment to leave our personal preferences out of the conversation. If we can do that (and it will not be easy), we may find many lost people responding to the Gospel because the Gospel itself is not the problem. It has always been the solution. Our self-centeredness is the problem and I think it is time we start admitting it. Santa lives at the North Pole … JESUS is everywhere. Santa rides in a sleigh … JESUS rides on the wind and walks on the water. Santa comes but once a year… JESUS is an ever-present help. Santa fills your stockings with goodies … JESUS supplies all your needs by the riches of His grace. Santa comes down your chimney uninvited … JESUS stands at your door and knocks, and enters your heart. You have to wait in line to see Santa … JESUS is as close as the mention of His name. Santa lets you sit on his lap … JESUS lets you rest in His arms. Santa doesn’t know your name, all he can say is, “Hi little boy or girl, what’s your name?” … JESUS knew your name before you did. Not only does He know your name, He knows your history and future, and He even knows your heart and how many hairs are on your head. Santa has a belly like a bowl full of jelly … JESUS has a heart full of love, grace, mercy, and forgiveness. Santa’s little helpers make toys … JESUS pays for and forgives sin, makes a new life, mends wounded hearts, repairs broken homes, and builds mansions. Santa may make you chuckle but … JESUS gives you joy that is your strength. While Santa puts gifts under your tree … JESUS became our gift and died on the tree, for you and for me. It’s obvious there really is no comparison. Yes, JESUS is better than Santa Claus—infinitely better! This is a sermon outline developed by Dr. Terry Dorsett and preached at Faith Community Church, Barre, VT, during the 2012 Christmas season. • We should never pray to angels, or worship them, because only God deserves that honor. • Angels still exist and still serve as God’s messengers today. • By looking at how angels impacted the Christmas story, we can see how they can impact our lives as well. • There are moments in our lives that are so special, they will never happen again. We should learn to cherish those moments. • Some supernatural experiences are once in a life time moments with God. We should not miss them because they cannot be recreated. • Zechariah and his wife Elisabeth had not been able to have any children and now were getting old for it to happen naturally. • As Zechariah prayed at the altar, he asked God to do a miracle and give him a son. • Sometimes God puts a desire in our hearts that just will not go away. When that happens, we should keep on praying even if it seems impossible. 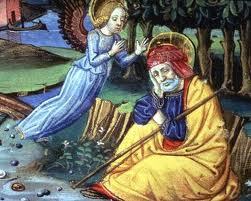 • An angel of the Lord appeared to Zechariah while he was praying. • Zechariah was startled and overcome with fear. • It is ironic that Zechariah was praying for something important to him but when God answered, Zechariah was startled and afraid. • But if we are honest, we would have to admit that the same thing often happens to us. Luke 1:20-Now listen! You will become silent and unable to speak until the day these things take place, because you did not believe my words, which will be fulfilled in their proper time." • When Zechariah refused to believe the message, there were negative consequences. • He would be unable to talk until the baby was born. Fortunately, this was temporary and after the baby was born, he was able to talk again. When God speaks to us, we better listen; otherwise, there will be negative consequences. • Mary was Zechariah’s wife Elisabeth’s cousin. • In the 6th month of Elisabeth’s pregnancy, the same angel came to Mary and gave her the same message, she would have a son. • This is because the focus was to be on her son Jesus, not on herself. • God chose an ordinary person to help accomplish His plan and He still does that today. 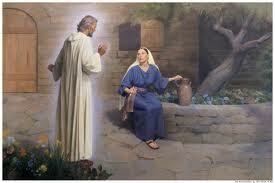 Luke 1:38 "I am the Lord's slave," said Mary. "May it be done to me according to your word." Then the angel left her. • Mary’s response to the angel was that she was willing to submit to God’s plan for her life. • She was very blessed in her life because of her willingness to obey God’s plan for her life. • How often do we miss God’s blessing on our lives because we are unwilling to obey God’s plan for our lives? • Which are we more like, Mary or Zechariah? God chose us to serve Him, just as He chose Mary, and we will be blessed beyond imagination if we will submit to God’s plan for our lives even when we do not fully understand it. • Shepherds were poor and uneducated. • However, most people in that day and time were poor and uneducated. • Therefore, shepherds represent the “average person” of the day. • God wants His message of love, hope, joy and peace to go to everyone, but it begins with average people just like us! • The good news is that this message is for all people. • The good news is for US! • What will OUR response be to this message of good news be? • The shepherds may have been uneducated and poor, but they were smart enough to go check it out, accept what they found and rejoice! • Are we smart enough to check out God and then accept what He says? God sent His message of Good News to average people like us and though we may not understand all God is saying, we should be smart enough to check it out and accept it. • Wise men from the East had come and gone. • King Herod has been alerted that a new “king” had been born and he was afraid of the competition. • Herod ordered the murder of all the baby boys two years old and younger in the area where Jesus had been born. • Regretfully, our lives are often filled with pain because the people around us feel threatened. • There was a large Jewish population in Alexandria, Egypt. Joseph would have been able to find work easily among the Jewish community there. • As difficult as it was, Joseph took his family and moved to Egypt. • Joseph did not return to Israel until after King Herod died. Even then he moved to Nazareth, instead of his home town. • Those there were great challenges that Joseph had to overcome, imagine if he had not had God’s help in that time of trouble. • The consequences for his family would have been far worse than just having to move a couple of times and settle in a different town than he may have wanted to. Following God does not mean we will never face problems in life, but it does mean that God will help us in those times of troubles. Since trouble is going to come anyway, why not have God’s help when it happens? 1. When God speaks, listen! Otherwise we may face negative consequences. 2. God uses ordinary people to do extraordinary things if we submit to His plan. 3. Though we may not understand all of God’s messages to us, we should be smart enough to check them out and accept them. 4. God is with us even during times of great difficulty, so it is always worth listening to Him. It has been one week since the tragic events in Newtown took 26 lives. My family and my church have been visibly shaken by this horrible news and I'm sure you are as well. I would like all of us to keep Pastor Bryan Sims and Southbury Baptist Church in prayer. Bryan has hosted several of our Southern Baptist Disaster Relief Team members at his church, coordinated the Western Connecticut Baptist Association's efforts and trying to find out how and where God can use us to minister to the Newtown/Sandy Hook community. That church is officially the WCBA's center for our "Newtown CT Response". Given the intense attention that Newtown has received from around the world, our own efforts are being viewed long-term, with possible ministry developing in 2013 and beyond. Please be praying for Pastor John Revell of Stamford Baptist Church as well. As a chaplain for the Stamford PD, John had some unique access to fire and police personnel. Pastor Mark Smith has one member of North Park who is a cousin of an adult victim. Several of our churches were involved in special church prayer services and community-wide vigils. I trust the Lord used you and your ministry to bring strength, comfort, and clarity to your own church. Our prayers and sympathies got out to all those suffering loss. The larger Southern Baptist family has reached out to CT in a big way. The Western Connecticut Baptist Association has received text messages, phone call, and e-mails with support and offers to help. In the week after the shooting our web site had 872 hits. I have responded to all those contacting the WCBA personally, and have posted updates on our website. Please go to www.wcbainfo.com to view these and learn more about the Newtown CT Response. Mark Angerosa is the Director of Missions for the Western Connecticut Baptist Association, which is affiliated with the Southern Baptist Convention. Words cannot express the tragedy of the Sandy Hook Elementary School Shootings. All we can do is to seek to minister and be a presence to those who grieve and survive. Friday we began to assess the extent of the Sandy Hook massacre and the Baptist Convention of New England responded by sending DR chaplains and volunteers from Friendship Baptist, Litchfield CT, to the Sandy Hook ERC. We immediately then contacted Bryan Symns, Pastor of Southbury Baptist Church, Southbury CT to be the staging area for chaplains. The church is located 15 min from the incident. Bryan and his congregation as well as others began to respond. 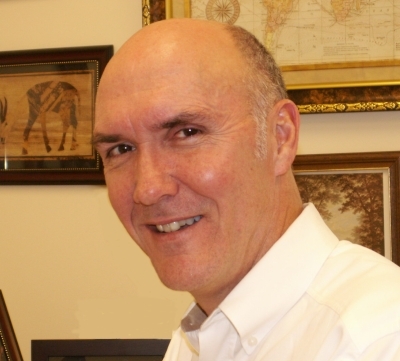 John Scoggins, BCNE white hat oversaw initial deployments. We were contacted by Executive Director of SBC DR, Micky Caison from NAMB and asked for NAMB Crises Chaplains be deployed on site as well. 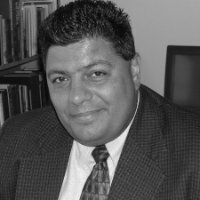 We are grateful for how in God's providence had DR Chaplain Enio Aguero, in NY for Superstorm Sandy recovery and he deployed and began to minister at the Sandy Hook ERC. Enio was one of the first chaplains to arrive. Enio and BCNE chaplains and volunteers have been on-site everyday. Currently I have asked pastor Pastor Symns to be lead pastor taking point as he lives in the area and will continue long term recovery. Pastor John Revell of Stamford CT, who is also serving Stamford PD as police chaplain, was contacted on Friday and deployed Saturday. John as well as pastor Bryan have contacted Enio and established an Incident Action Plan which we will be working together. John will serve as lead chaplain to first responders Enio will be lead chaplain. On Monday morning all chaplains will meet at Southbury Baptist Church for a daily briefing and strategy session at 9am. This meeting will be led by Enio Aguero and will look at ideas for current and long term recovery options. Please keep us in your prayers as we respond as well as the victims and first responders. As with 911, this is an extremely difficult time for everyone in the Newtown area. Stories of the children and first responders are horrifying as well as heartbreaking. As is the case in most NE disasters the communities rally to bring help and healing to their friends and neighbors. It is our honor and privilege to walk with them in these days and show them the love of Christ. 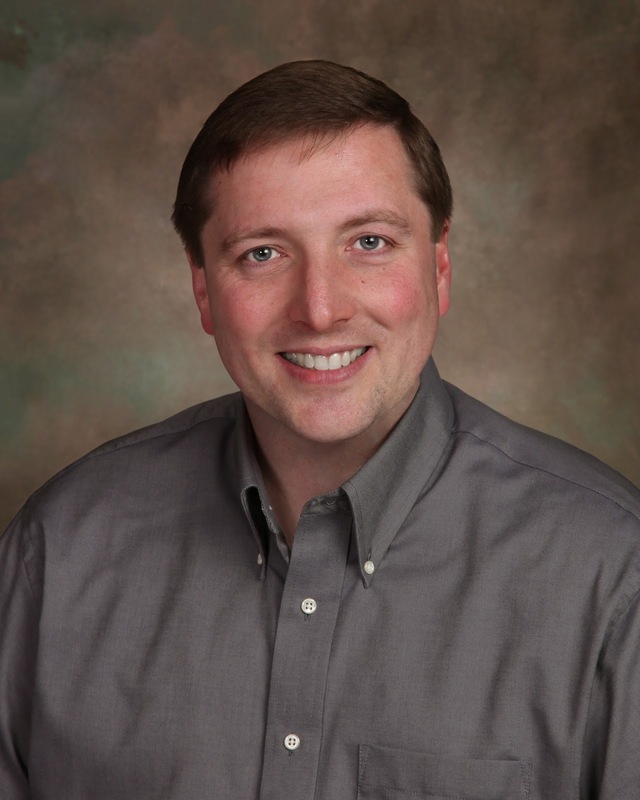 Bruce James is the Director of Male Leadership Development and Disaster Relief for the Baptist Convention of New England. I have often taken my adult autistic son Brock to an auction. That can be a tedious situation. Before we go I remind him of a few things he should not do at auctions, like not raising his hands or making loud noises. I do not want him bidding on something I do not want to buy. He is a little restless and it is not his favorite place to be but we manage. Once we went to an auction, I bought what I came to buy, paid for it and left. On the way home Brock and I were talking about the auction. I asked him what the auctioneer was doing at the auction. He told me that the man was preaching. I got a good laugh out of that. But given the fact that my son has spent a lot of time in church, that may not have been a bad deduction. Look at it from my son's perspective. You see a man on a stage with a microphone – he is preaching. Makes sense to me. But my son's perspective does cause me to think about my own preaching. When I stand to preach am I just making noise? Does it make any sense to the listeners? Am I just spouting off cute sounding platitudes? Does it appear that I am simply trying to convince people of some good idea I have? Does someone think I am just doing this for what they are paying me? Would I go do it somewhere else if I got a better bid? When I preach do people question my integrity or do they believe me to be an honest man? Do they believe that I care for them and wish to communicate the truth and love of God to them? I hope so. When I stand before a congregation to preach, I hope I have studied the biblical text, struggled with it, and have discerned its correct meaning. I hope that when the teachings of the text make me personally uncomfortable I don’t shy away from it. I hope that I apply the truths of the Bible to my own life before seeking to apply it to the lives of others. I hope that when I preach people receive a fresh and meaningful word from God. When the folks drive home and talk about what happened in church that day I hope no one has mistaken the preacher for an auctioneer. 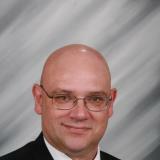 Dr. Brent Cloyd is the pastor of Northside Baptist Church in Fairfield, Illinois. 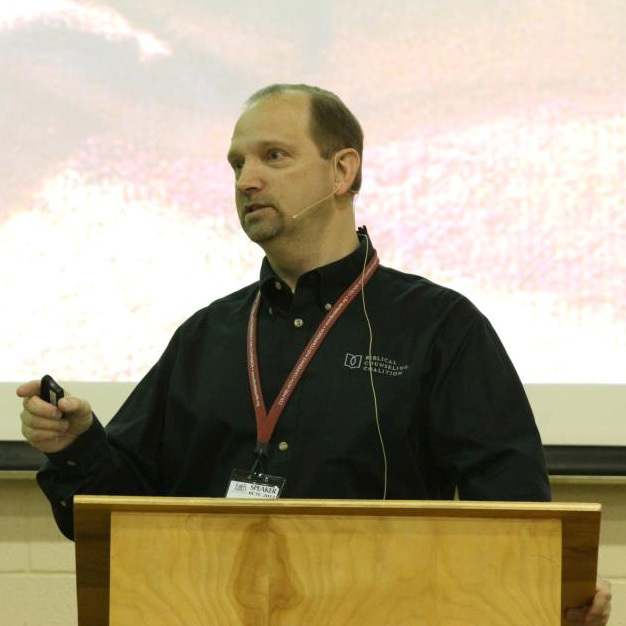 He is a graduate of both Midwestern Baptist Theological Seminary and Bethel Theological Seminary. Does Faith in God Help or Hurt? We have been discussing in the last few blogs (click here for a review) about what causes pain in our personal lives and in the world around us. We have concluded that though it is impossible to have a “perfect” life without any troubles or difficulties, life is better when we have a strong faith in God. Though I think the majority of people would agree with me that life is better when faith is present, every so often I meet a person who wants to argue the point. I recall an Internet-based debate I had once with a group of spiritual skeptics from Arizona State University. They asserted that people who are religious are emotionally unhappy and mentally unhealthy because of the great sense of guilt religion unfairly places on people. They thought all this talk of sin and Satan is proof that faith is more harmful to people than helpful. I challenged their assumptions based on my own life experiences and on Scripture, but they insisted they were right. They said they had facts to prove their claim was correct. I asked them to produce their evidence. Despite their adamant insistence, they were unable to cite a single scientiﬁc study or survey that backed up their outrageous claim that faith hurts instead of helps. Most of the arguments those students made came from Christopher Hitchens’ book, God Is Not Great: How Religion Poisons Everything. Hitchens has become a hero to many young people who want to blame God for all the pain in their own lives and in the world around them. Since those ASU students had no facts to support their claim that faith hurts instead of helps, I decided to do my own research on the subject. I was amazed at how much evidence exists to verify that faith is a positive inﬂuence in our lives. WebMD.com reports: People who attend religious services, or who feel they are spiritual, experience lower levels of depression and anxiety; display signs of better health, such as lower blood pressure and fewer strokes; and say they generally feel healthier. Researchers at Florida State University found that “regular prayer increases your concern for other people … that could help you make your part of the world a brighter, better place.” A number of other studies made similar conclusions, and a simple Google search will reveal them to anyone interested in checking out those claims on their own. The research clearly shows that religious people are healthier and live longer, but are they actually happier? In 2009 Professor Andrew Clark, from the Paris School of Economics, and co-author Dr. Orsolya Lelkes, from the European Centre for Social Welfare Policy and Research, examined numerous surveys and scientiﬁc studies done in Europe and concluded that deeply religious people have higher levels of life satisfaction than nonreligious ones. Clark and Lelkes concluded that religion in general acts as a buﬀer that protects people from life’s disappointments. People who attend religious services weekly or more are happier than those who attend monthly or less; or seldom or never. A new analysis of more than 550,000 Gallup-Healthways Well Being Index interviews conducted over the last year and a half ﬁnds that Americans who are the most religious also have the highest levels of wellbeing. The bottom line is that faith simply makes people happier. Faith can help us deal with the pain in our lives, regardless of the source of that pain. People who are deeply religious do not need a survey to tell them they are happier than their unbelieving friends. They already know this because they witness it on a regular basis. That does not mean that religious people do not have bad days or have periods of time in which they may feel depressed, but it does mean that as a general rule, they live happier lives than those who are not religious. This may not be politically correct in today’s pluralistic culture, but it is scientifically accurate. Though some people may not like religious faith, there is simply no denying that faith improves people’s quality of life. We may all be entitled to our own opinion on the subject, but we are not entitled to our own facts. The facts are clear: religious faith makes us healthier and happier and increases longevity. When postmodern people ﬁnd themselves involved in unhealthy activities and poor lifestyle choices that lead them to signiﬁcant amounts of personal pain, they need someone to show them a better way to live. This means that churches need to ﬁnd ways to gently connect sinful behaviors that cause the pain that naturally results from those behaviors. In the past, people just took the church’s word that certain actions or behaviors were sinful and tried to steer clear of those things to the best of their ability. But since postmodern people decide what truth is based on their own research and experiences, they are likely to have to learn about the consequences of sin by experiencing them personally. Though this will take time and effort, it is worth doing because the next generation is in great pain and the best way out of that pain is to find a meaningful faith in Jesus Christ. 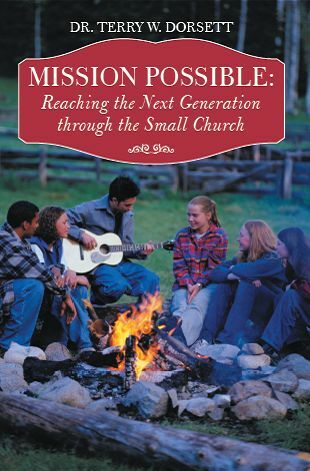 Adapted from Dr. Dorsett’s book, Mission Possible: Reaching the Next Generation through the Small Church, published by CrossBooks, a division of Lifeway Christian Resources. 1. How our own sins cause pain in our lives. 2. How the sins of others cause pain in our lives. 3. How Satan causes pain in our lives. 4. How free will is connected to pain in our lives. 5. How the fall of mankind in is connected to the pain in our lives. While we have clearly established that much of the pain in our world is caused by sin, what are we to do about it? We know that sin really does hurt us, whether it is our sin or the sin of others. We know Satan is real and is working hard to hurt people as well. But can our faith really help? Though some people may not want to admit it, faith really does help us ﬁnd relief from pain and discover happiness and joy in our lives. In fact, our past pain can help us assist others who are going through similar types of pain. The apostle Paul talks about this in 2 Corinthians 1:3-4, where he says, “Blessed be the God and Father of our Lord Jesus Christ, the Father of mercies and the God of all comfort. He comforts us in all our aﬄiction, so that we may be able to comfort those who are in any kind of aﬄiction, through the comfort we ourselves receive from God (HCSB).” Paul is reminding us in this Scripture that our own pain can be used by God to comfort other people who have experienced similar pain. However, for that to happen, we have to know God and trust that He works through the painful experiences in our lives to bring about the ultimate good. When we realize that, our past pain can become a powerful ally in our efforts to help others. It is the comfort that we draw from our faith that helps us overcome pain in our lives. Those who have no faith must endure the same pain as everyone else but without the help of God. Therefore, it makes sense for us to encourage as many people as possible to find a meaningful faith in God. Now, some skeptics would like to argue about whether faith really does help us deal with the difficulties of life. We will look at the scientific proof that faith helps us deal with the pains of life more effectively in my next post.